Hello everyone, in this article, we will tell you something about the best hookah coal burners and lighters that you can have and which will make life much easier for you. Anyone who smoked hookah at least once knows how hard it is to turn natural coals in red color without a burner. We’ll agree, it’s really hard work. I remember when I first time tried to light my coals without a burner and put them on the top, oh my god, that was really frustrating and my friend told me something in the sense, bro, forget about it, let’s play Xbox. But I was really persistent and after a lot of trouble, I managed to do it somehow. I wondered should it always be like this when I wanted to smoke a hookah. But I quickly found a solution. I used the oven first, but it left too much mess and I had to wait for the whole eternity to make the coal become red. If you have this or similar problem this article will definitely be of great benefit to you. We will write about top-rated coal burners compared to the quality and price so you can be sure that you choose the best. 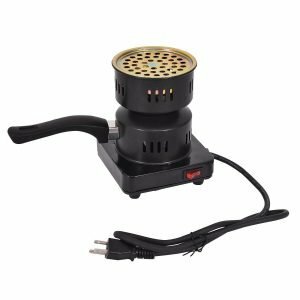 What to Look For in The Best Hookah Coal Burner? Hookah burners come in all shapes and sizes and it’s important to know what you’re looking for before committing to a purchase. If you’re looking for a quality coal burner for use at home and when you’ve got guests around, look no further. Let us take you through some of the things to look for as well as some of the things to avoid. Remember that a shisha coal heater that quickly reaches optimum temperature (around 320 -350 degrees) is important, just as it is crucial to make sure that you use a good quality charcoals. Most take around five minutes to reach the right temperature, with the fastest taking four. A good quality hookah coal heater will have a solid build quality and is likely to allow you to regulate the coil’s temperature using a dial on the base of the device. Some top quality coal burners also feature air vents to help you ensure the coals are burning at the correct temperature. An automatic shutoff is also a useful safety mechanism that many modern hookah burners will offer. Another aspect of your burner to consider is how easy it is to clean – save yourself the trouble by opting for a burner that is robust and easy to dismantle, clean and reassembles. A drip pan can be a useful feature as you’ll be able to remove it and quickly clean your burner after use to ensure it doesn’t end up covered with unattractive drip marks and stains. Here is the list of the top 5 hookah coal burners currently available on the market. The first one on our list is the Fumari 120V Hookah Coal burner. This is a simple, well designed electric hookah burner that heats up charcoal at high speed and runs at 120 volts. If you’re looking for a simple and self-explanatory burner then the Fumari is a great option, and also has the benefit of being at the affordable end of the spectrum. Control the temperature using the gauge on the base of the device. The Fumari is a portable and reasonably priced option that provides value for money and enjoyable smoking experience. 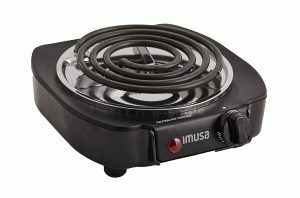 Our next burner is the IMUSA USA, which runs at 1100 Watts and is easily portable. You can use this as a hookah burner but also for cooking, with a temperature dial to regulate the coil, as well as a stainless steel drip tray to catch falloff and an indicator safety light to tell you when the coil is hot. This is a fantastic option for those looking to buy a burner that can also be used to cook with large pans in space restricted environments. Is a bit more at the luxe end of the spectrum and runs at 1100 watts, and heats up quickly and efficiently. It’s a good option if you want to set up your hookah quickly and not worry about it afterward, and comes free with titanium charcoal and a pair of hookah tongs. The temperature is controlled using a dial on the burner and there is also chrome drip pan to catch any spills. At the end of the evening, simply remove the drip pan (waiting for it to cool down first) and clean it, before reinserting it into your burner. A slightly more expensive but high-quality option for those serious about their shisha smoking. The next on our list is This is a slightly larger, more heavy duty burner and is formed of a base and a detachable pan that can also be used to heat tea or coffee as well as hookahs. It has a temperature dial on the side of the base and comes with hookah tongs. The Charco Flare burner takes five minutes to reach optimum operating temperature and has a slick, appealing design that is sure to lend an air of sophistication to any home, bar or cafe. The appealingly named features an electric hot plate and a removable tray. It’s a great option for people looking to buy a charcoal burner that is easy to dismantle and store away. It heats up quickly, boasting a three minute heating time, and the temperature can be easily controlled by a dial. The Pharaoh burner draws cleanly and comes with complimentary hookah tongs. A good option for people searching for a quick, efficient charcoal burner. What to Look For In a Good Hookah Coal Lighter? good hookah coal lighter is reliable, stylish, and ensures you’re able to sit back with your hookah and puff away without any worries. What are the best qualities to look out for? It depends on whether you’re after a torch lighter or a charcoal starter. Torch lighters are essentially mini blowtorches and look like the same devices used by chefs in haute cuisine. It’s better to use it to light quick lightening coals but they can be used in both cases (natural and quick light coals) but If you do not want to waste gas, then it’s better option to use a burner to light natural coals. They’ll quickly heat your charcoal consistently as the electric hotplate heats up and you’ll be able to smoke your shisha without needing to constantly relight it. 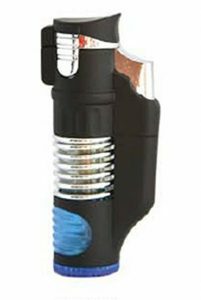 A quality torch lighter can be dismantled, refilled, and reassembled easily. If you’ve got little ones running around while you smoke it’s also a good idea to make sure that your lighter has a child look in case it falls into the wrong hands. Let us talk you through a few of the best fighters on the market and the features they offer. This Torch-lighter is a favorite among shisha smokers because of its robust build, stylish looks, and ease of use. 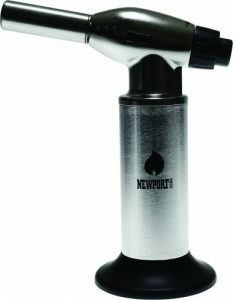 It’s essentially a slightly more heavy duty version of the Newport torch lighter but burns with serious heat and can provide over two hours of flame. It’s stylish and efficient and has an adjustable flame and a flame lock. It has also been designed with an important safety feature: a child lock, to ensure it doesn’t get into the wrong hands. Jet Flame is a good fuss-free option for those seeking an affordable lighter. The Firebird is easy to refill, has an adjustable flame and is a stylish looking device to use to light your coals. It’s also economical and will help you get the most out of your butane if you’re a regular hookah smoker. Next on our list is the Texas Hookah Triple Flame Lighter. If you’re looking for a way of lighting your hookah that’s straightforward and not too expensive, this is the ideal option for you. The Texas Lighter is refillable, runs on butane and has a triple flame, as well as coming in three colors: black, blue or orange. It may look like something out of the Star Wars universe but it’s a fantastic affordable option for getting your coals started. 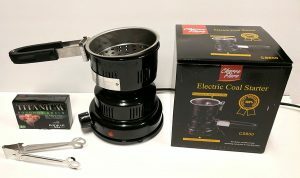 Eight24hours Electric Coal Starter Hookah Shisha is our next lighter – not a traditional butane lighter, but more similar to a stove. 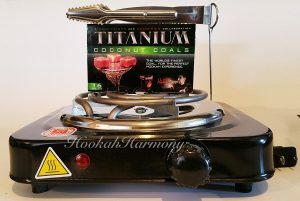 Simply pop your coals in the lighter and turn it up to full whack, and you’ll soon have a pan full of hot coals ready to transport to your hookah. This takes around four minutes to reach the right temperature and will save you the effort of painstakingly sitting with a blowtorch waiting for your coals to reach the right temperature. Finally, the least catchily named lighter of all: the Scorch Torch Tactical Ergonomic Angle Double Jet Flame. 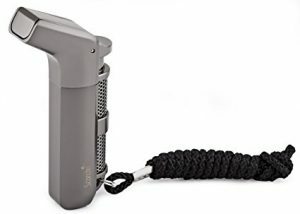 This is arguably the most rock and roll of them all, as it is constructed from gunmetal and is easy to use even in windy conditions. 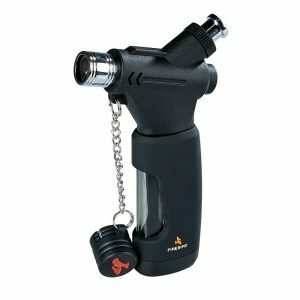 Refillable, easy to clean and maintain, the Scorch Torch is a good option for people looking for a quick and affordable way to light their charcoals with minimum fuss. 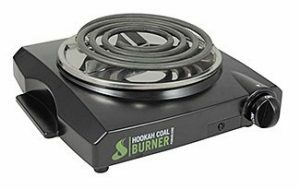 Having looked at the range of options for hookah coal burners, it comes back to the question: what is the best hookah burner for lighting coals? Shisha enthusiasts will know that it’s not just about the burner, it’s also about the quality of coals that you buy. High-quality coal burns more cleanly and leads to a more enjoyable smoking experience. However, a high-quality burner for lighting coals is equally important. The best option on the market among the range we have covered is undoubtedly the Charco Flare Hookah Charcoal Burner, as it offers solid build quality, excellent value for money, and consistent heat as well as a fuss-free set-up and attractive design. If you’re looking to carry your paraphernalia around with you, the Charco is arguably a bit bulkier than most other burners. However, it’s heavy duty and will look sophisticated in your home, as well as being a quality, effective addition to your shisha smoking tools. 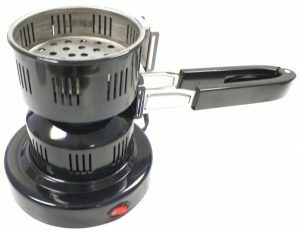 Another reason that the Charco Flare Burner is a fantastic option is the inclusion of free shisha tongs for picking up/turning charcoal, and adjustable heat as well as the fact that it is efficient, easy to dismantle and clean at the end of an enjoyable, languorous evening of shisha, coffee and conversation. We’ve come to the end. Now you know exactly which are the best hookah coal burners and lighters, how to choose it, and which are the best one which meets all criteria. Be prepared for a new smoking session with one of these burners that suits you best. If you have any questions or suggestions, feel free to contact us and we will be more than happy to help you. What are your burning coal experiences?